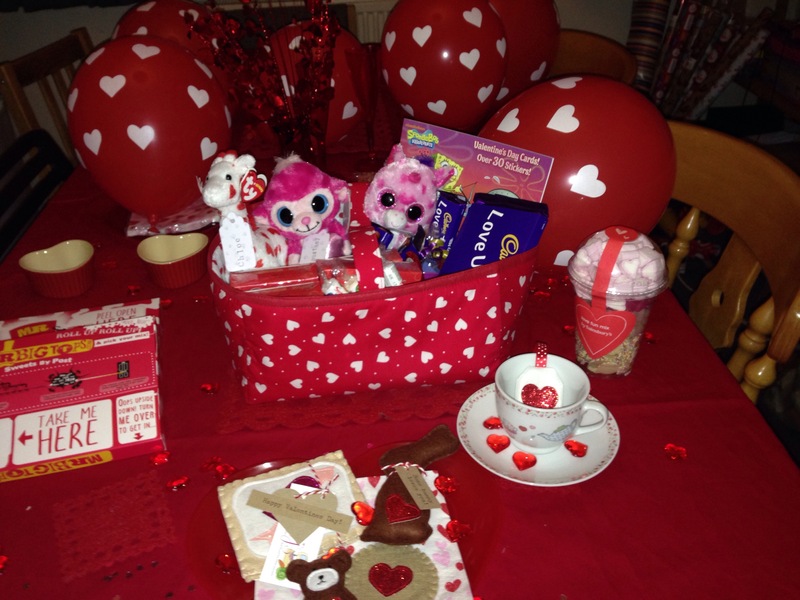 Valentine’s Day this year was once again a family event. 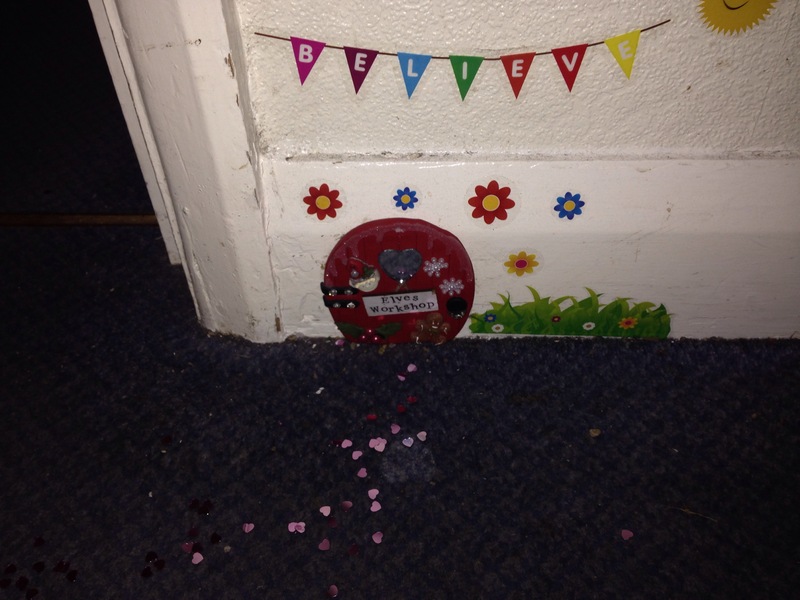 The children came downstairs in the morning to find a trail a teeny hearts leading from the Elf door to the dining-room…….. 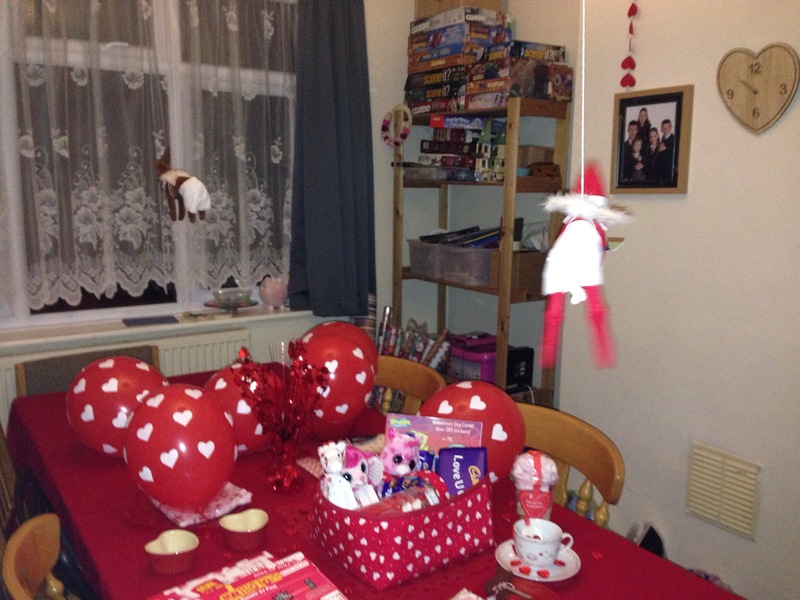 In the dining-room there was a big surprise waiting. 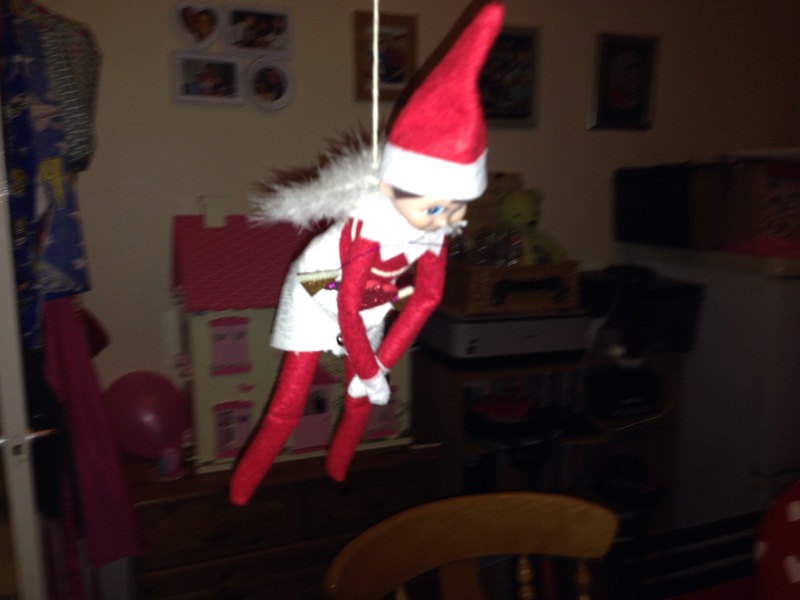 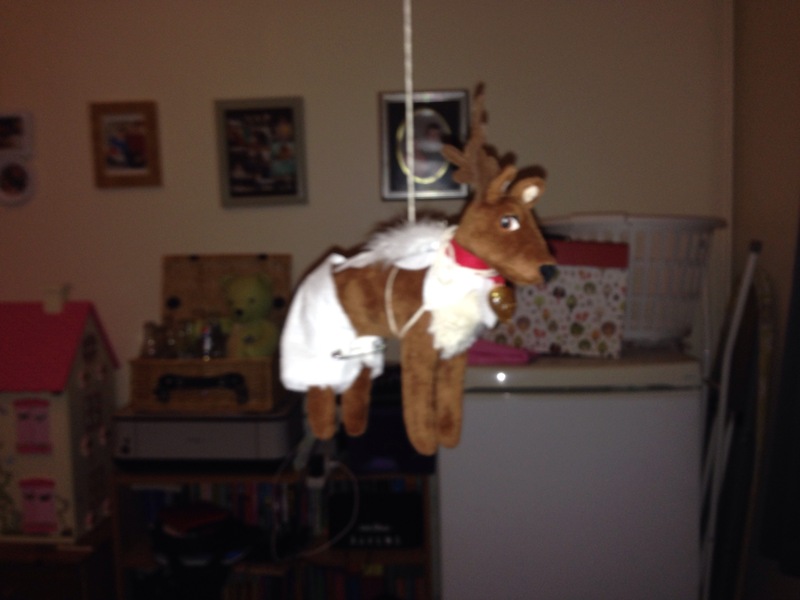 Once again, Joey the Elf, this year accompanied by Snowball the Reindeer, both dressed as trainee Cupid’s (complete with wings, nappies/diapers and Joey was holding a Cupid’s arrow), had flown in to surprise the children. 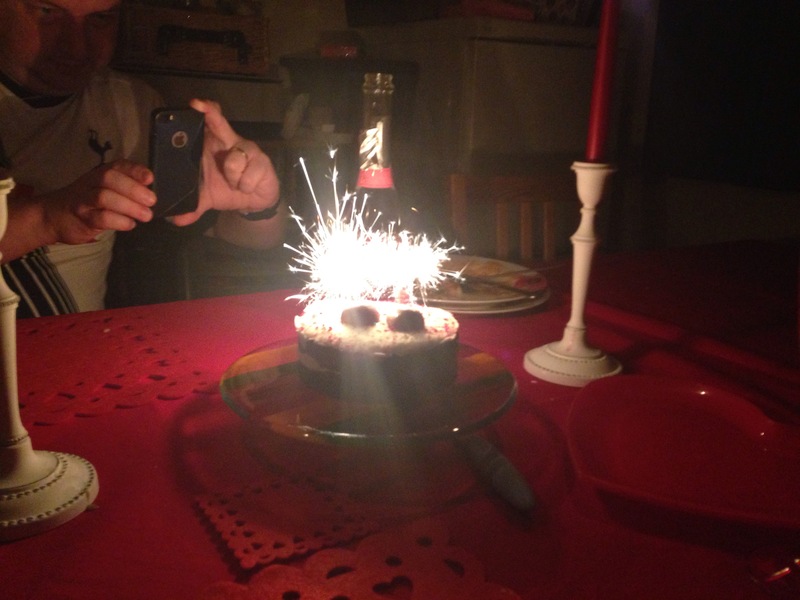 They had decorated for the occasion…. 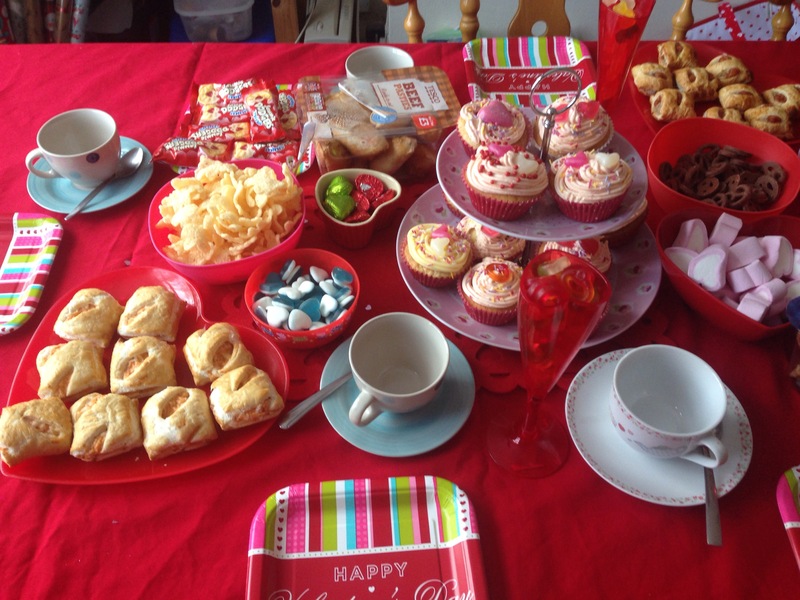 The kids were thrilled with their treats and couldn’t wait for our tea party. 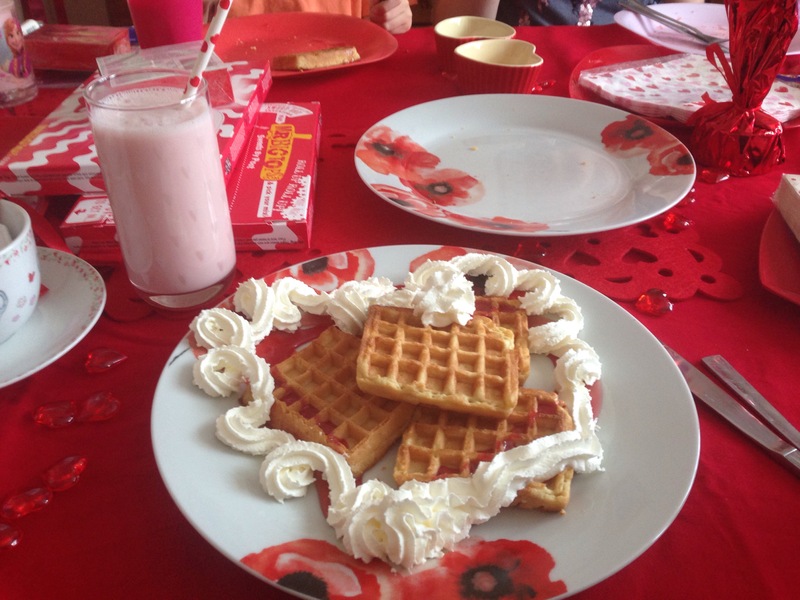 Breakfast was a treat of sweet waffles circled with strawberry and raspberry syrup hearts, and everyone’s favourite squirty cream 😋 , with strawberry milkshake too. 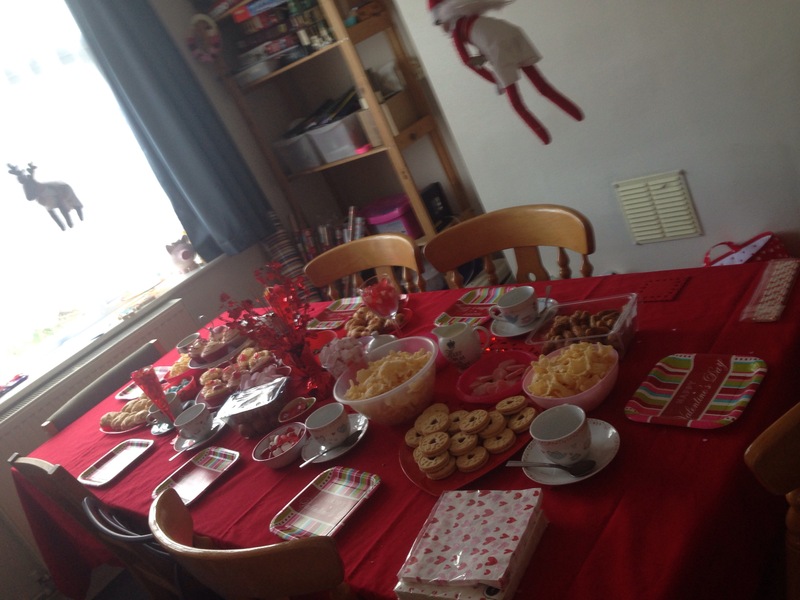 Lunchtime was tea party time. 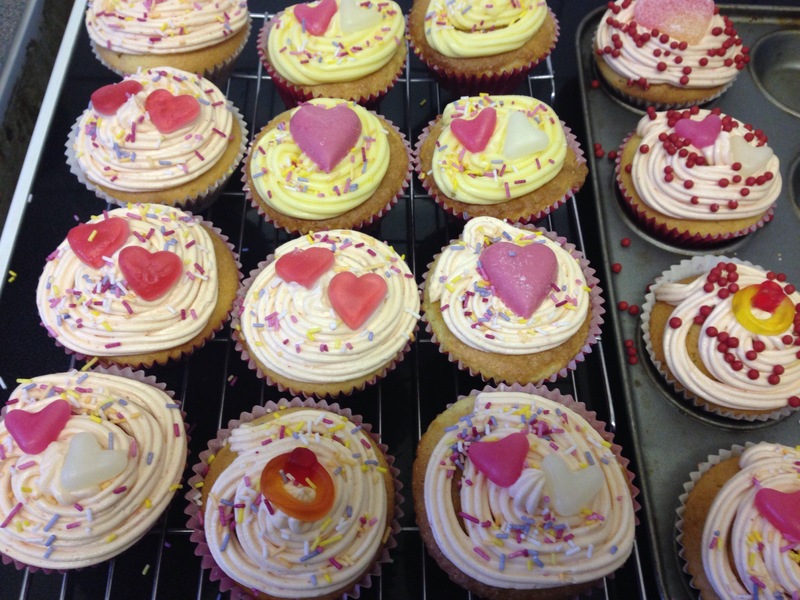 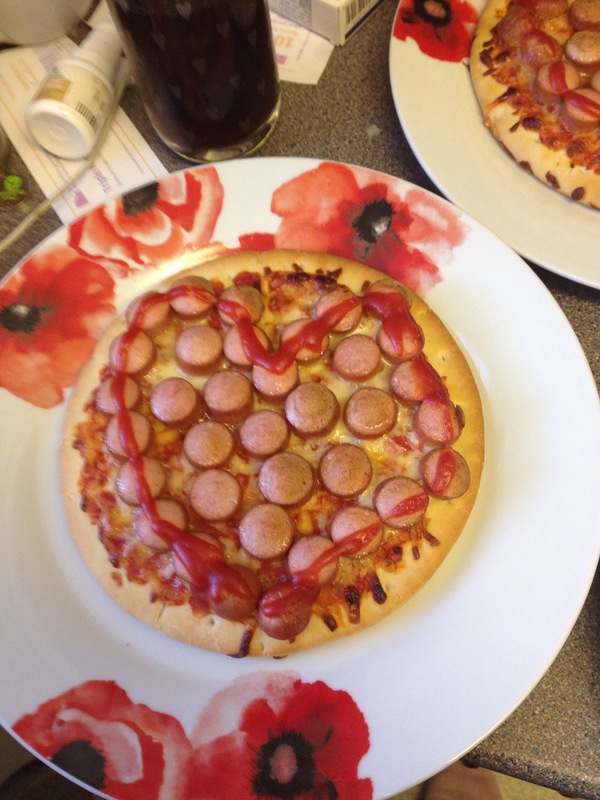 And other heart-themed food such as Jammie Dodgers biscuits, heart-shaped pretzels, heart-shaped sweets pick ‘a’ mix, Pom Bear crisps and mini pasties and sausage rolls to counteract some of the sugar! 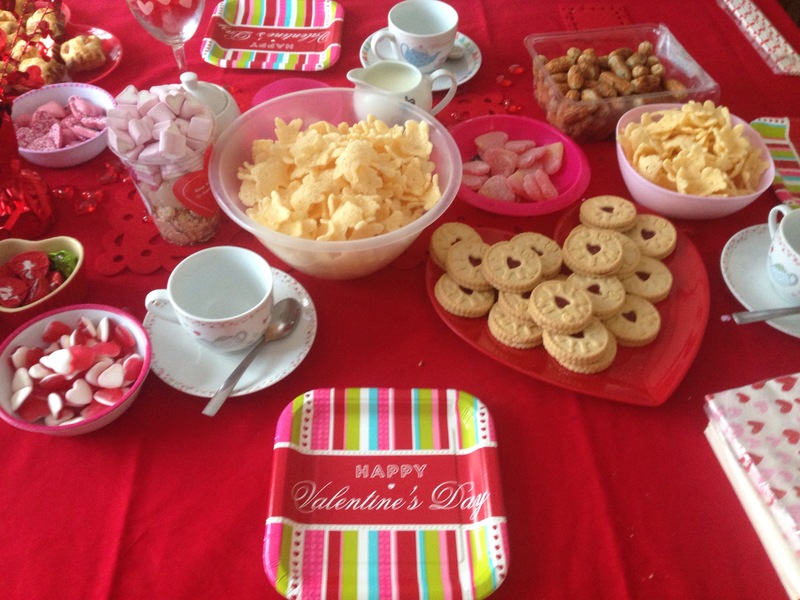 Dinnertime on Valentine’s Day is one of the few days of the year when the children eat separately to us. 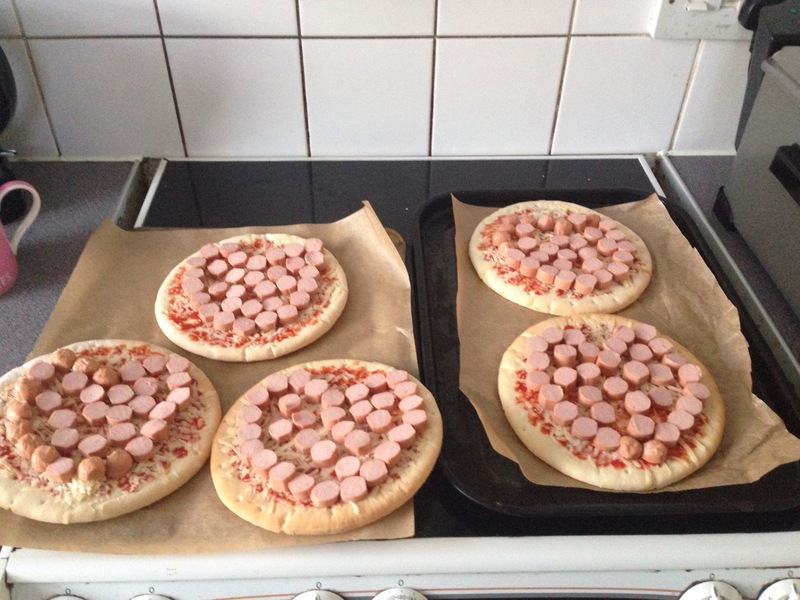 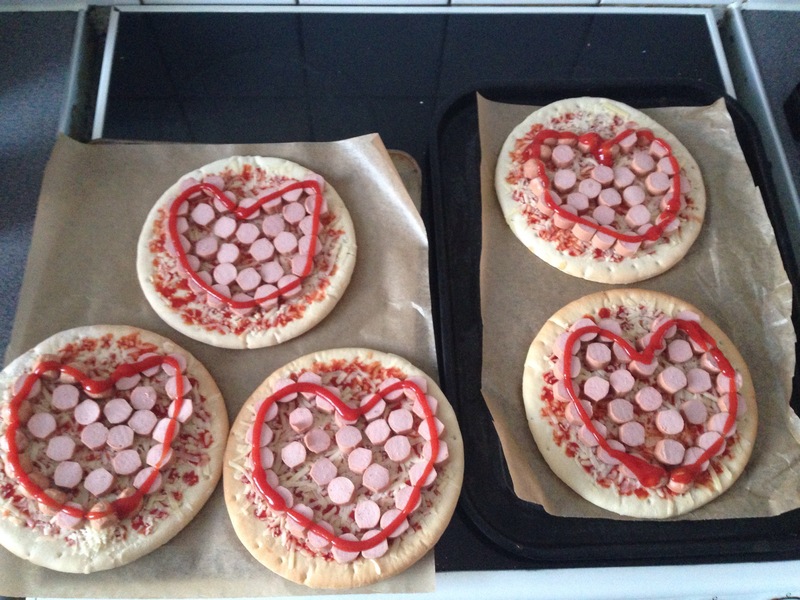 This year, I made them their own personal pizzas adorned with hotdog hearts. 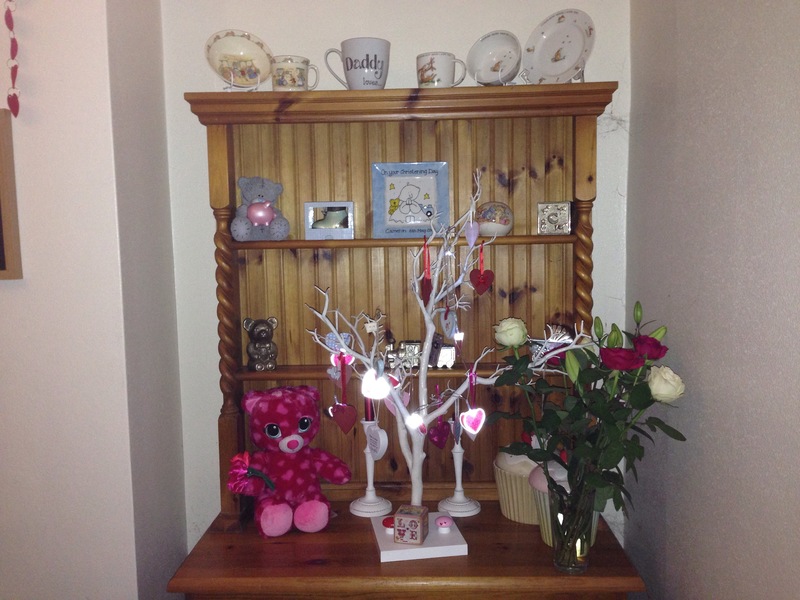 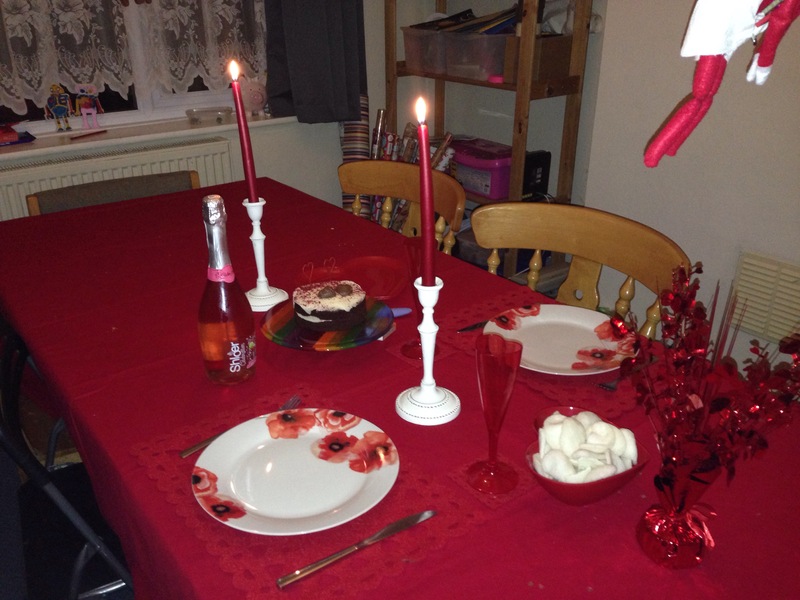 Once the kids had eaten, it was time for Mum and Dad to have a little romantic candlelit dinner in peace (by ‘peace’ I mean the 5yr old placing her singing Frozen jewellery box outside the door to ‘serenade’ us, then coming in halfway through the meal to steal our prawn crackers!). 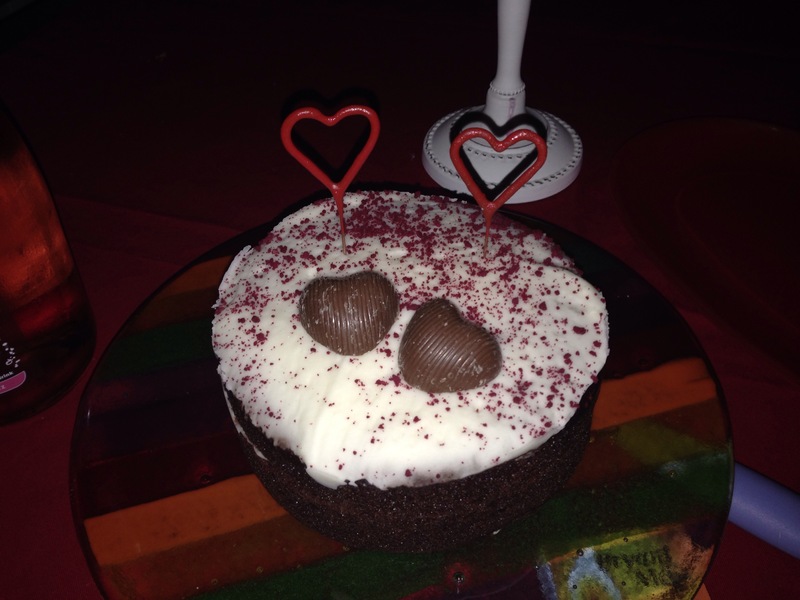 We all then enjoyed a little Valentine’s cake together before calling it a day on another family Valentine’s Day.